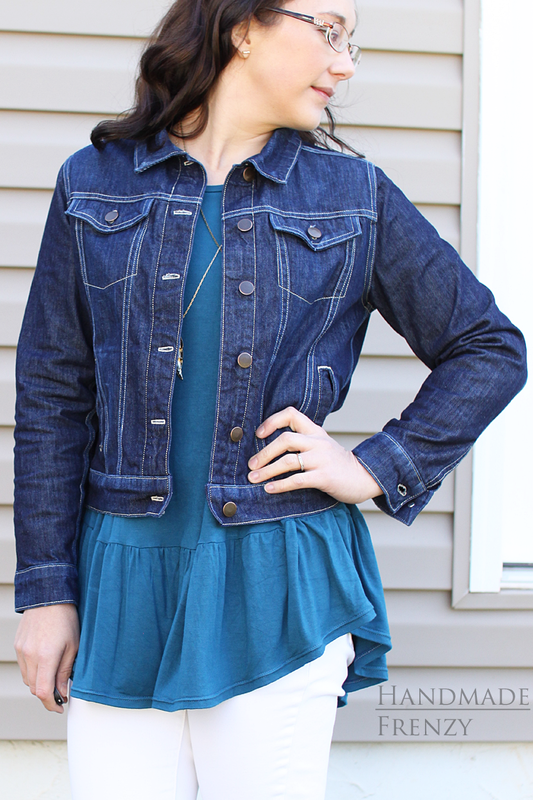 I can't even express how excited I am to share today's post with you! This project is by far the most labor intensive project I have ever tackled, to date. And by far the one that I am most proud of!!!!! 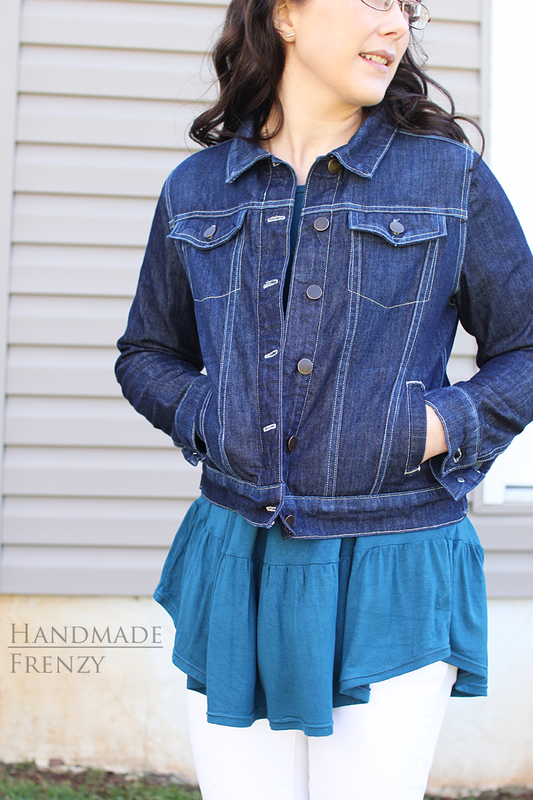 The Hampton Jean Jacket is the newest pattern from one of my (if not the) favorite pattern designers, Alina Sewing + Design Co. Her attention to detail, plus clear instructions and illustrations make her amazing patterns top notch. 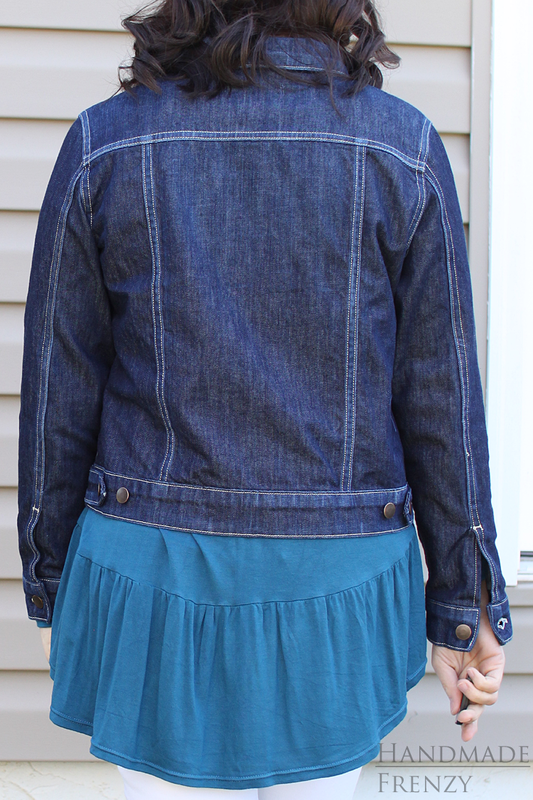 In this pattern, she walks you through the process step-by-step and it's pure magic to watch this jacket take shape! Before I dive fully into all the details, I want to make sure I make it clear, that while it is labor intensive, it is not that difficult! I believe an advanced beginner could handle this project with some patience. Keep reading for all the details about what I learned through the process! Oh my goodness, where to even start... Well, I'll just start at the very beginning! Alina had each of us testers make a muslin. I would recommend this to anyone looking to make this jacket as well. A canvas drop cloth from a hardware store works well, and is an easy on the wallet option, mine was $6. 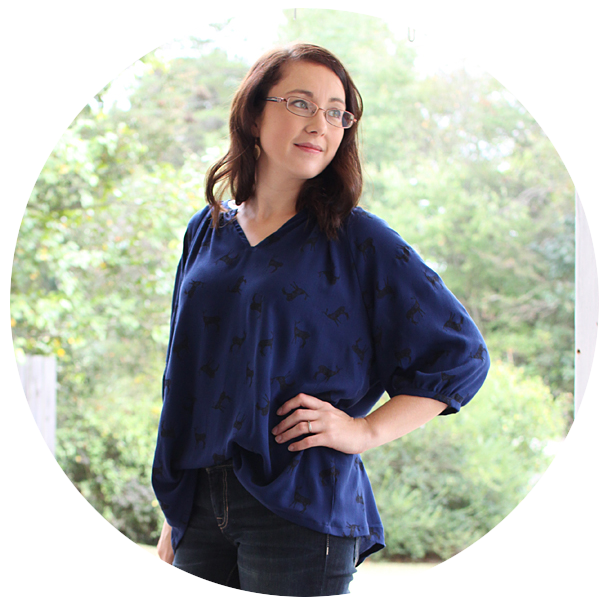 I was between sizes, so this was especially helpful in trying to decide whether to size up or down. For this one, I ended up going with the larger size, because I wanted to make sure I would be able to get the most wear possible out of it! 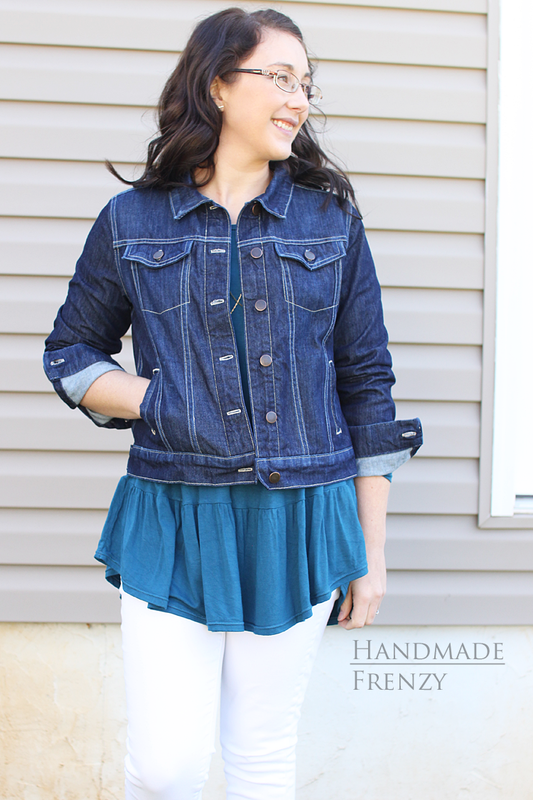 I can throw this on over a couple of lighter layers, I've worn it over a tee and long sleeve cardi and was still comfortable. I've also worn it over just a sleeveless maxi dress, and it still looked fabulous. 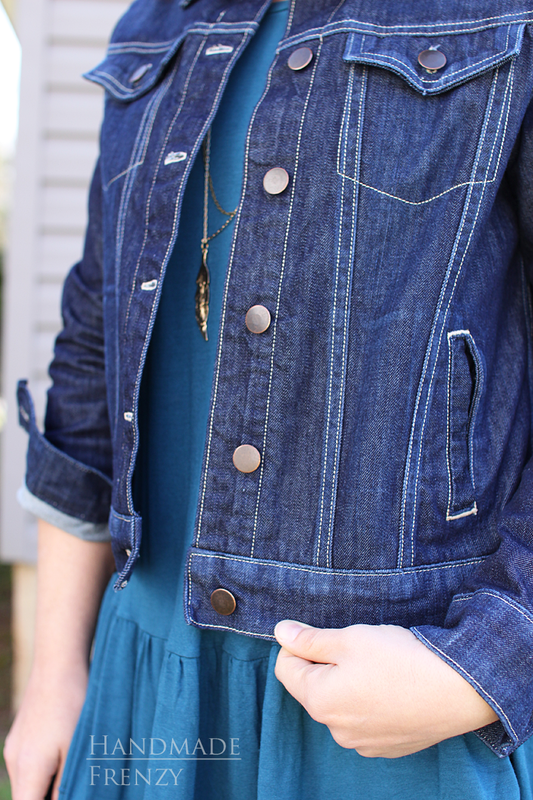 There are also things to consider like how it fits in the shoulders and elbows when making a muslin and tweaking just a little to get a much more custom fit that you would from a RTW jean jacket. Just to note a few changes between mine and the final pattern: The bodice and sleeves are both 1" longer, the waistband, collar, and cuffs are interfaced (mine are not), and the welt pockets are a teeny bit longer. 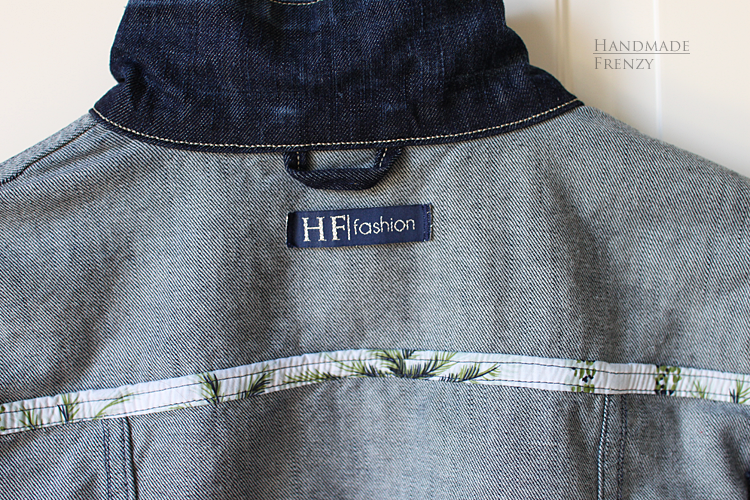 Next up, was choosing denim, prewashing (machine wash and dry completely to pre-shrink) and cutting it out! I used 10oz. 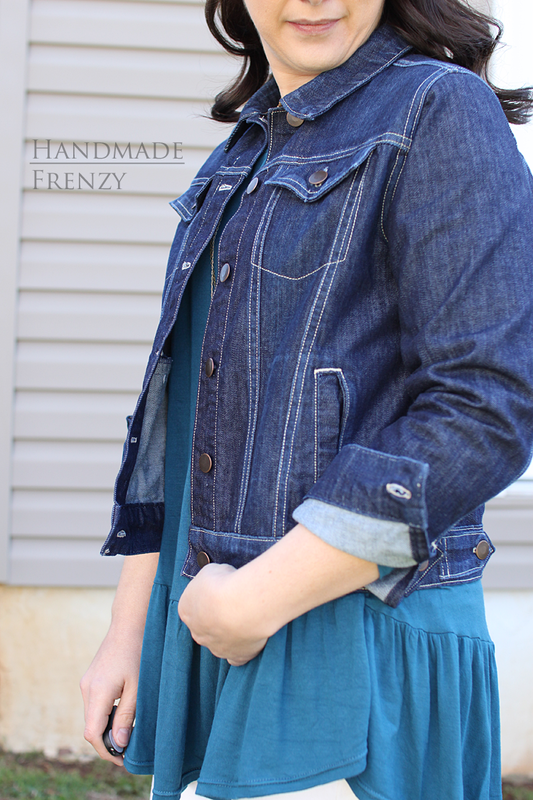 Cone Mills Denim in Indigo from Thread Bare Fabrics. 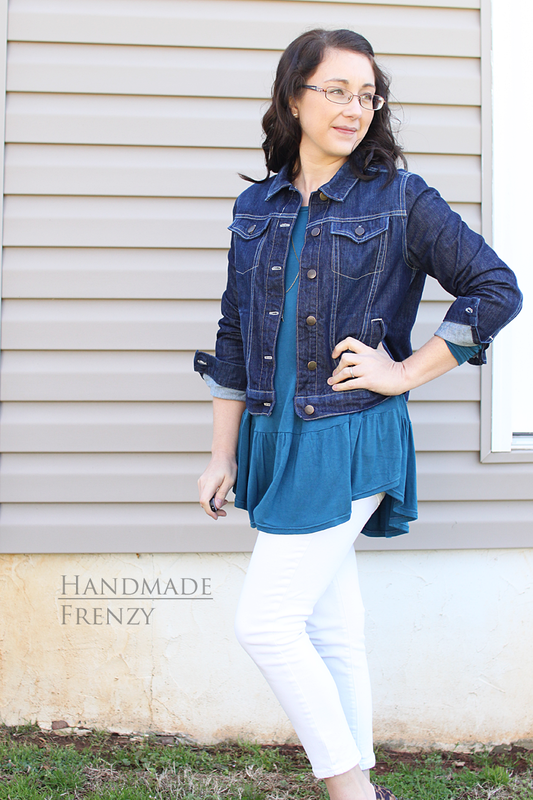 I have read so much about Cone Mills Denim and was so excited to get some in my hands. I am fan girling just like everyone else about this stuff. It is sooooo nice. I actually found it quite nerve racking to cut into, haha. I was so scared I was going to mess us this precious denim and not give it the life it deserved. I also feel somehow connected to it because it is made right here in NC, not that far from where I live! I had to chuckle about the fact that it was sent to me from California, though. 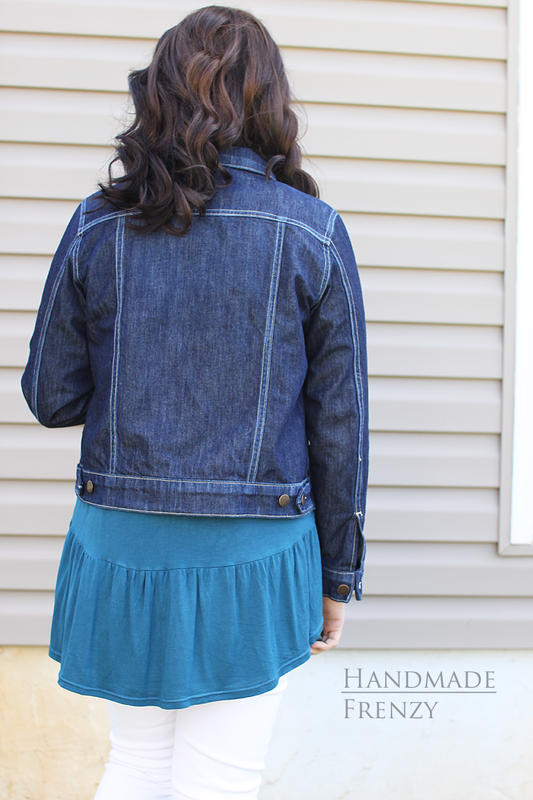 Alina has a full post coming on her finding with bleaching and distressing denim. It is definitely a resource worth keeping! Once I had the distressing method figured out, the real process of constructing began. It was magical from the beginning, because each seam was like a little nugget of gold after it was done and was so fun to admire. 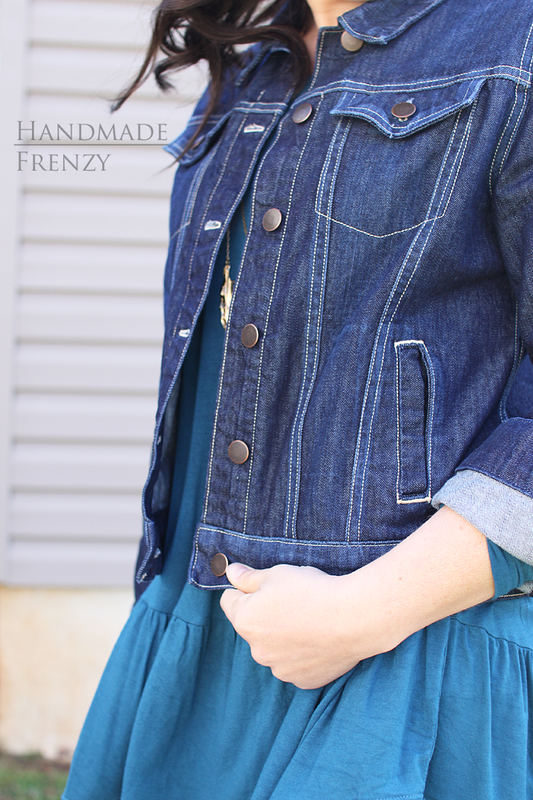 Katie from Handmade Threads and Threadbare Fabrics gets full credit for this next tip. She suggested using wonder tape to hold the seams down when flat felling instead of using pins and it was awesome. Be sure to have a full roll or two on hand before starting though, but it is worth it! Probably the most difficult part, but really not even truly difficult, it just required patience, was the sleeves. There's a bit of topstitching that needs to be done after the sleeve is a tube. But it just takes breathing, (I always forget to breathe! Ha.) and taking your time, plus making sure your fabric is moving evenly so the topstitching stays consistent. There are places where mine is not perfectly so, but I don't mind, I'm sure no one will notice except me anyway! Ok, that was a rabbit-hole... Back to the jacket. 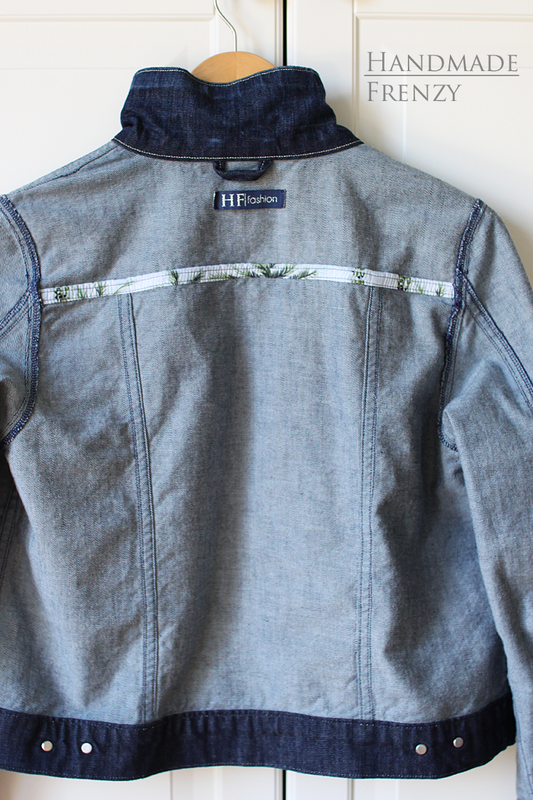 I seriously love all the topstitching on this garment. Heart eyes, all the heart eyes. The final step is to throw that freshly made, crisp denim jacket into the washer and dryer at least once, maybe 2-3 times. 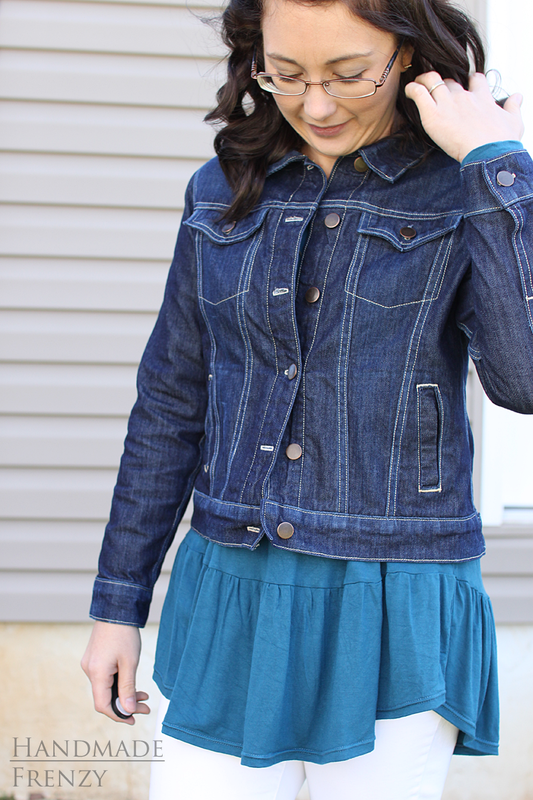 It will give it an amazing crinkly, worn-in texture, just like what you crave in your favorite jean jacket. I hope you've enjoyed reading about it and seeing it. I sure have enjoyed reliving the experience! And I hope I have inspired you to make your own! You can do it!! 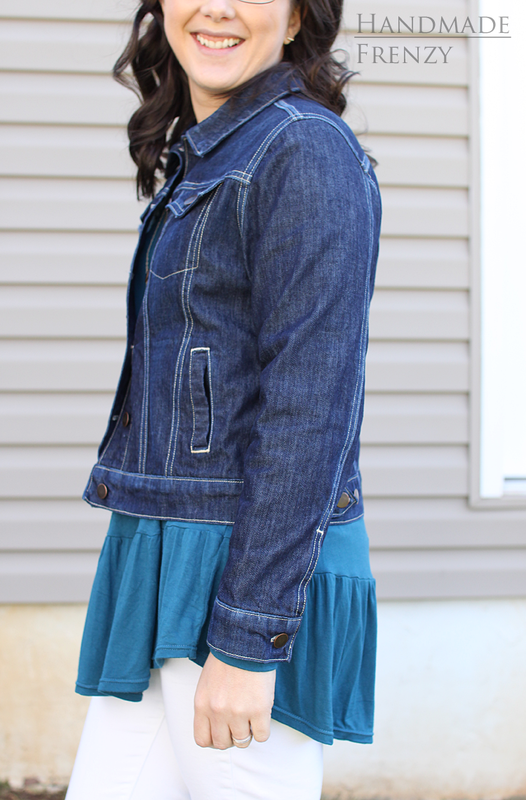 Alina has a sew-a-long coming as well and it will be super helpful for any little tricky bits! 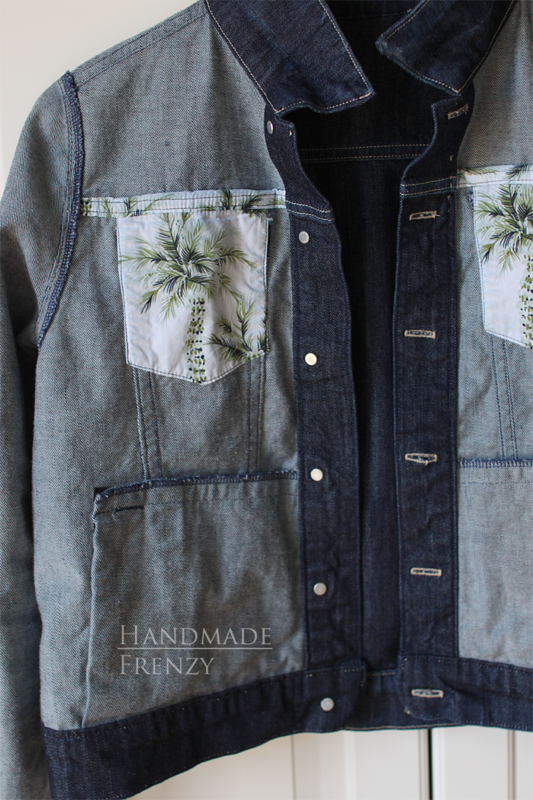 Be sure to check out the jackets my fellow testers made!!! They are all incredible. Click on the links below to access their social media and/or posts. 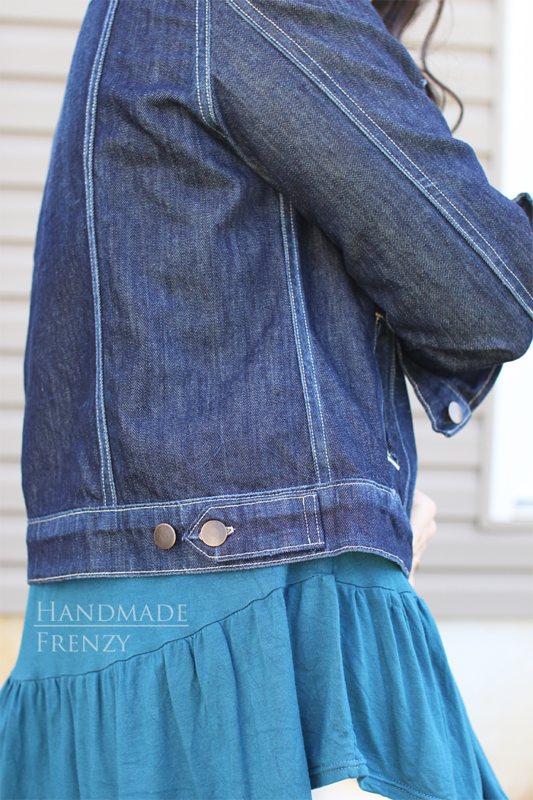 Hampton Jean Jacket - Alina Sewing + Design Co. Size sewn: 8 (I land between size 6 & 8) - No changes made to test version. Final pattern is 1 inch longer in bodice & sleeves. Loooooooove, Heidi!!! I am seriously so proud of how everyone's jackets turned out. It was such a fun test group! Thank you again for testing! Wow! That is one gorgeous jacket!! And the inside is pretty too!!! I am VERY impressed... and motivated to go sew myself one right away!